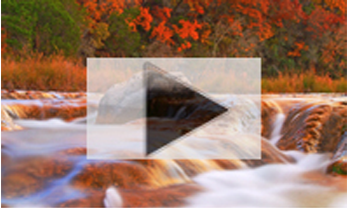 Tune in to Texas Public Radio for streaming of the 2019 legislative edition of the Texas Water Symposium special broadcast as your local legislators discuss pressing challenges that confront Texas and the Hill Country. Property rights and natural resources dominate the event captured by Texas Public Radio at the State Capitol as Representatives Andrew Murr, Vikki Goodwin, and Kyle Biedermann’s environmental policy specialist Larry Bailey discuss topics ranging from the 42-inch Kinder-Morgan Permian Highway Oil and Gas Pipeline currently under construction, proliferating sand and gravel mines, state parks, and sewage discharges into our clean streams and rivers. Read the full media release. Celebrate over 10 years of the Texas Water Symposium as our Hill Country State Representatives discuss emergent water and natural resource issues facing our region, and solutions being discussed at the Capitol. The program, titled “Water and the 2019 Legislative Session: The Outlook for Hill Country Water Resources,” will be held at 7pm on Thursday, March 28 at the Texas Capitol room E1.014 in Austin, Texas. Read the full media release. The Comal County Conservation Alliance (CCCA) and the Hill Country Alliance co-hosted the workshop, “Saving Family Lands: Tools for Landowners in Comal County,” on February 15, 2019 at the Anhalt Dance Hall in Spring Branch, Texas. The one-day workshop, which highlighted financial and conservation tools available to rural landowners in fast-growing Hill Country counties, attracted ninety attendees. The workshop was designed to provide farmers, ranchers, and other landowners with effective tools and resources to help them address issues inherent in passing family land on to future generations. Read the full media release. Join the Hill Country Alliance for a conversation about how man-made infrastructure can influence flooding in Hill Country creeks and rivers at 7pm on Thursday, November 15th. The program, titled The future of flooding in Texas: How do we protect life and property in the face of extreme weather events? will be held at the Texas State University Teaching Theater in San Marcos, Texas and will feature representatives from the Texas Water Development Board, San Antonio River Authority, United States Geological Survey, and Halff Associates engineering and architecture firm. This event is free and open to the public. Read the full media release. The Hill Country Living + Rainwater Revival FESTIVAL returns to the Dripping Spring Ranch Park on Saturday, October 20, from 10am to 5pm. This free, one-day event promises something for everyone who loves the Texas Hill Country – whether you live there now, plan a move in the future, or visit often. The Hill Country Alliance (HCA), FESTIVAL planner, has packed the day with fun things to do and good things to learn about living lightly in our precious Hill Country. Read the full media release. The 8th Annual Texas Water Symposium series continues this June in Fredericksburg with a personal conversation between Hill Country water experts about the State’s water planning process and the need for public participation. 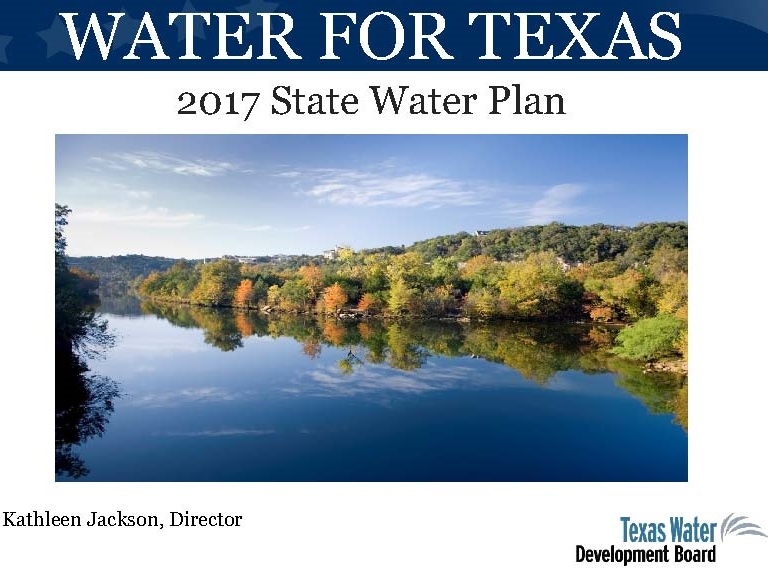 As Central Texas grapples with population growth, increasing demands on our water supply and cycles of intense drought and floods, it is essential that the public is aware of the water infrastructure planning process that is happening now. Read full media release. Imagine the Texas Hill Country you want future generations to inherit. That is the call and theme for this year’s photo contest hosted by the Hill Country Alliance (HCA). Winning images will become the visual heart of HCA’s 2016 calendar. The deadline to enter is midnight, May 31, 2015. Read full media release. As Texas Hill Country residents and businesses look for ways to conserve water, the Hill Country Alliance’s Rainwater Revival grants lend a helping hand to schools throughout the 17-county region. The HCA is now taking applications through May 1 from schools that want to implement or enhance rainwater collection and water conservation programs on their campuses. Read full media release. What is your vision of the Hill Country that future generations will inherit? The Hill Country Alliance (HCA) asks this question as it calls for photographs for its 2016 calendar. The annual HCA photo contest opens on March 1 and runs through May 31. Winners receive cash prizes and their photos will appear in the popular HCA calendar and in the organization’s various educational products. Entering the contest is easy through the HCA website. Read full media release. “Conservation and the importance of preserving our natural habitat are deeply held Texas values,” said Dan Allen Hughes, Chairman of the Texas Parks and Wildlife Commission. “Texas voters understand that a strong and thriving system of state parks contributes to a vibrant economy, is an important source of recreation for Texas families and helps protect the natural environment that makes Texas unique.”Read full media release from TPWC. Letter to the Editor: Federicksburg Times Standard – “Texans living in the Hill Country have a deep and abiding understanding of the importance of clear, flowing streams, heritage trees, trash-free landscapes, and a calm, quiet environment. We also have a very strong belief in property rights and the responsibilities that accompany those rights.” Read full letter. The Hill Country Alliance (HCA) recently released their 9th Texas Hill Country Calendar. Once again, this calendar delivers stunning photography while remaining an informative resource on Hill Country conservation – addressing such issues as groundwater resource protection, native habitat conservation, land stewardship, night sky protection and more. HCA hopes their calendar will inspire people to learn more and become involved in the issues important to keeping the natural resources of this beautiful and fragile region intact. Read full press release. Look to the sky for your water supply—and learn how to capture and use it at the fifth annual Rainwater Revival, which returns to Dripping Springs on October 25. The popular and free edu-fest event is put on by the Hill Country Alliance. “We began our part-educational, part-fun fest in Dripping Springs in 2010, and after two years there we took the event on the road to other parts of the Hill Country,” said Event Chair Karen Ford. “We’re happy to be coming ‘home’ to share the latest information about rainwater conservation and harvesting at Dripping Springs Ranch Park. Read full press release. “It’s through photographs like these that we help share the importance of protecting our Hill Country environment, and one of the reasons our calendar has been so popular with both area residents and nature lovers worldwide,” said Milan J. Michalec, board president of HCA. Read full media release. The Texas Water Development Board (TWDB) soon will announce draft rules and priorities for how SWIFT funds will be spent. In advance of that announcement, the Hill Country Alliance (HCA) convened a roundtable discussion in Blanco on June 4th where HCA board, advisory team and other water and land stewardship experts discussed a range of solutions that could save money and provide water to see the state through future severe droughts. Read full media release. Impressed by the quality of proposals for its rainwater harvesting and conservation grant program, the Hill Country Alliance is awarding three – instead of the planned two – $1,000 grants to Hill Country schools to help teachers and students design and implement water-saving techniques. Read full media release. The Hill Country Alliance is pleased to welcome two new full-time staff members, Charlie Flatten and Katherine Romans, who will respectively manage the organization’s water policy and landowner outreach programs. Read full media release. 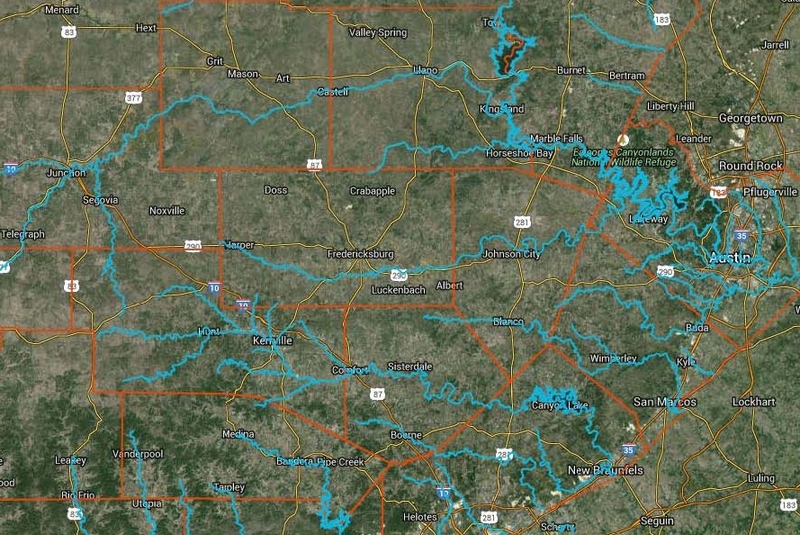 The Texas Commission on Environmental Quality (TCEQ) recently halted a process that could have created groundwater conservation districts (GCDs) in some of the fasted growing areas of the Hill Country. TCEQ Executive Director Richard Hyde successfully petitioned the State Office of Administrative Hearings (SOAH) with a motion to dismiss the case that had been underway since 2010 to create GCDs in Western Travis and Western Comal counties. The request was granted January 27, 2014, and the case is now closed. Read full media release. Some water experts believe Hill Country clear-running creeks and streams may soon be a thing of the past if cities are permitted to discharge treated wastewater directly into creeks such as Onion Creek. Water wells may also become contaminated. Read full media release. The population of Travis and Hays Counties has nearly doubled in the last 25 years, intensifying the pressure on natural resources. This summit brings together scientists and policy-makers to share information and address current and future challenges in the management of the Barton Springs Zone. Read full media release. While we continue to reduce our water use, demands increase every day with new homes of suburbia appearing on the horizon. Each will require more water, with a considerable amount going to establish and maintain hundreds of acres of new turf grass each year. In this region, traditional home lawns typically consume 25 to 35% of the annual treated water. Projecting into the future, new residential yards could require up to 30,000 acre-feet per year by 2040—enough water to meet about 20 percent of Austin’s current demand. Read full media release. The first Texas Water Symposium of 2014 will feature a conversation between Hill Country landowners and water experts about the Pedernales River. As Central Texas grapples with population growth, land fragmentation and changing land uses, understanding the impact of land and water management on the health of our rivers and their associated catchment areas is essential. Read full media release. 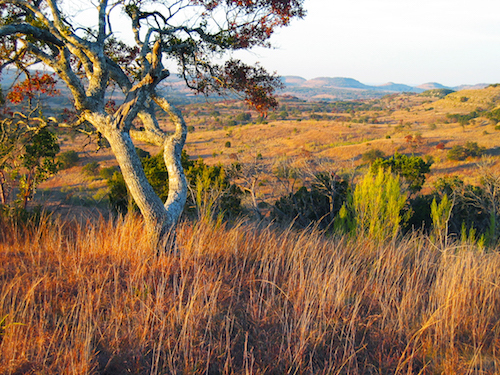 What’s your view of Hill Country Stewardship? HCA is seeking photographs that tell the story of our region’s stewardship ethic for publication in its 2015 calendar. The Texas Hill Country is a cherished place, yet it is threatened by land fragmentation, over-allocated rivers and aquifers, incompatible land development practices and a lack of understanding about appropriate stewardship. Read full media release. Rainwater harvesting is part of the new water culture in Texas, especially in the Texas Hill Country where water is scarce and precious. On Saturday, November 2, the Rainwater Revival returns to the Boerne Civic Center where rain harvesting experts and practitioners will speak throughout the day in tandem with a variety of exhibitor and vendor tents, a live auction of artful rain barrels, the Raindrop Stop for kids, food trailers, music, and fun for the whole family. Read full media release. Is it dark outside? Is it really dark? Darkness is a good thing for the environment as well as your emotional and physical well-being. The reasons why disappearing “dark skies” can adversely affect plant and animal life (including humans) will be explained November 7 when nationally recognized conservationist and author Paul Bogard joins Cindy Luongo Cassidy to discuss the impact of artificial light on the environment and its inhabitants. Read full media release. On November 2 in Boerne, Texas, the Hill Country Alliance will once again host its annual Rainwater Revival – a lively, free event for novices and wannabe harvesters of rainwater. A full day of speakers, exhibitors, food and fun is planned to help homeowners and businesses reduce their impact on the environment, save money on their water bills and learn the joys and deliciousness of captured rainwater. Read full media release. As we struggle to meet water resource challenges, what is the proper role that government should play regarding land development and other traditionally unregulated issues, in order to protect stream flows and the private property rights of landowners? All are potentially impacted by water marketing and increased withdrawals from aquifers. Moderated by Weir Labatt and featuring Joseph B.C. Fitzsimons, Sharlene Leurig and Garry Merritt. Read full media release. Thirteen exceptional photos of the Texas Hill Country grace the Hill Country Alliance’s much anticipated 2014 calendar. Among the photos chosen from HCA’s annual photo contest, four stunning shots were selected for special recognition by an HCA committee of local artists and Hill Country conservationists. Read full media release. It’s not about the birds; “it’s about the economy, folks!” It’s about our “habitat” — the health of the human race not just that of the whooping cranes. The recent federal court ruling, faulting the Texas Commission on Environmental Quality in the deaths of 23 endangered whooping cranes, directly relates to maintaining prosperity. Read full media release. Austin, Texas (June 4, 2013) – Three Hill Country schools have each been awarded $1,000 grants to further their plans to bring rainwater harvesting to their schools and education about water resources to their students. “The innovation and enthusiasm that these schools, through their administrators and teachers, bring to their students is very gratifying,” said Karen Ford, a Hill Country Alliance board member and chair of the annual Rainwater Revival. “These students will learn the importance of water conservation and that conservation is easy, fun, and a very important thing to do.” Read the full release. People conform to political boundaries. Water does not. 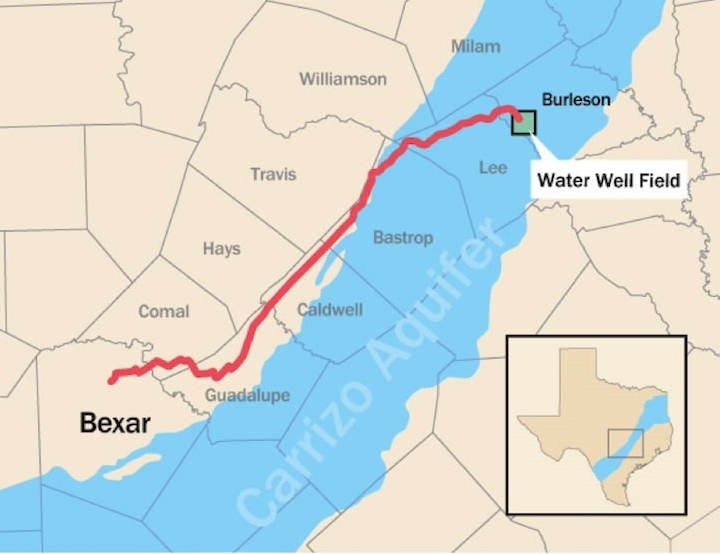 Ten years ago, recognizing the rapidly growing threat to the water quality of the Barton Springs segment of the Edwards Aquifer, 13 unconnected Texas Hill Country jurisdictions sat down together and talked. Acknowledging that water, especially groundwater, does not conform to human boundaries, they devised a bold plan to conform to water, by crossing those boundaries. With help from the HCA, 65 participants from those jurisdictions re-convened on April 26 in Buda for The Next Wave, a workshop to share how they are each implementing the plan now. Read full media release. The Hill Country Alliance (HCA) presents a tour of events March 25th through March 28th to further a movement to foster a night sky friendly Hill Country. Programs will take place in Kerrville, Fredericksburg, Llano and Johnson City. Working with local partners, HCA has created a model workshop to teach and inspire ways to protect our night sky from light pollution. Read full media release. For its 7th Annual Hill Country Photo Contest, HCA is looking for photography that captures the spectacular beauty of this region, images that illuminate the very things that are worth protecting, and the historical or cultural stories that need to be told. The Photo Contest Call for Entries is open through May 31, 2013. Read full media release. Texas has been growing rapidly for many decades and seems that we are also getting hotter and drier. Many Texans are “water short” now or will be in the future. Whether this was caused by too much growth, poorly planned growth, water waste or a declining, local water resource(s) – or a combination, varies. Read full media release. “We’re honored to receive this recognition from the Texas Water Development Board,” said Karen Ford, HCA Board Member and chair of the event. “Our goal is to offer a useful, entertaining event that inspires anyone interested in conserving our water resources to learn how rainwater harvesting can become a reality for their home or business. With hundreds of people attending each of our three annual events to date, we help make rainwater catchment an easy priority for everyone.” Read full media release. Testimony to the drought of 2011 is still all around us — dried-up reservoirs in West Texas, purposeless docks on the parched Pedernales River. On the heels of the drought, the idea of seeding a fund to meet the next 50 years of Texas’ water supply needs is a hard idea to pass up. But before we pluck that money from the state’s rainy day fund, let’s take a second look at what the state’s water needs really are, and how we ensure that state funds aren’t squandered in speculative water development. Read full media release. The 6th Annual Texas Water Symposium series continues this month at Junction with a personal conversation between Hill Country landowners and water experts about springs – the connection between groundwater and surface water. Read full media release. Why is Texas out of water during severe droughts? Bringing science to policy is one of HCA’s core goals. As HCA Technical Advisor Raymond Slade explains, “Three major schemes are needed: (1) increased conservation of water to minimize waste, (2) funding for at least some of the most-promising Water Management Strategies, and (3) consistent water-use regulation for both groundwater and surface water.” Read full media release. Hill Country schools in 17 counties are now eligible to apply for grants funded by professionally painted “art rain barrels” that were auctioned at the highly successful 2012 Rainwater Revival, held in Boerne in October. Read full media release. Blanco Chamber of Commerce President Marcy Westcott presented the Chamber’s first Night Sky-Friendly Business Certificates of Merit to seven Blanco businesses on December 18 in the Chamber office. “We are excited about our new Night Sky-Friendly Business Recognition Program and the positive reception it has received amongst our Chamber members,” said Westcott. Read full media release. The Rainwater Revival recently awarded a $900 grant to Bandera Middle School that will help fund water conservation efforts and native plant landscaping at its campus in the Bandera ISD. Read full media release. Functional works of art will join words of wisdom about rainwater catchment during the third annual Rainwater Revival, October 27 at the Boerne Convention Center. Read full media release. A dark night sky full of big bright stars is important here in the Hill Country, just like clean rivers, scenic vistas and natural landscapes. Little by little, light-by-light, the magical mystery of the big Texas night sky is diminishing. But it’s not too late to reverse this trend. Learn how you can do your part reduce light pollution. Read full media release. Sometimes the Texas Hill Country shares its bewitching beauty openly, other times it requires planning to be in the right place at the right time to see an especially magical scene. Thirteen photographers who will share their photographs in the 2013 Hill Country Alliance calendar had their cameras at the ready to take advantage of stunning scenes that will be shared when the calendar goes on sale this week. Read full media release. Challenging students to learn about water conservation and to take action to conserve resources will be easier this fall at three Hill Country area schools thanks to grants from the 2011 Rainwater Revival and the Hill Country Alliance. Each year the Rainwater Revival, a day-long festival that promotes rainwater catchment as an alternative to using dwindling supplies of surface and ground water, auctions rain barrels decorated by the Hill Country region’s professional artists. The funds raised go to help elementary and middle school teachers design and implement water conservation-focused programs and projects. Read full media release. Elementary and Middle Schools in 17 Hill Country counties now have until June 15 to apply for classroom grants focused on teaching water conservation and rainwater catchment to students, courtesy of the annual Rainwater Revival. Grants of up to $900 per selected application will be awarded for use during the 2012-2013 school year. Read full media release. The Texas Tribune’s Evan Smith moderated the final installment of the Texas Water Symposium at Trinity University in San Antonio on the evening of May 17. A panel of prominent water attorneys, including Russell Johnson, Greg Ellis and Tom Mason engaged in respectful civic discourse for 90 minutes on the merits and implications of the recent Texas Supreme Court’s groundwater decision, Edwards Aquifer Authority (EAA) vs. Day. Read full media release. Groundwater for Texans — a panel discussion about the recent ruling by the Texas Supreme Court on the highly publicized Day v. EAA case regarding ownership of groundwater. The discussion will explore the effects on a variety of stakeholders and a look at our complex water policy framework in Texas. A mix of viewpoints will be presented and discussed. Read Full Media Release. It’s official. According to the National Climatic Data Center, the year 2011 was the driest on record. The average total rainfall across the state was 14.88 inches, beating the previous record low of 14.99 inches established in 1917. Is Our Rural Heritage at Risk? Beneath many places in the Texas Hill Country, more groundwater is already being pumped than can be replaced through recharge. This was observed as many wells went dry during the 2007-2009 drought, one from which the Trinity Aquifer did not fully recover before this most recent drought began. HCA is urging people to report low water levels in wells, dry wells and poor water quality during this time of drought. “The future of your groundwater may very well depend on your observations.” states Milan J. Michalec, HCA Board Member. Read full media release here. How Can We Conserve Our Rural Heritage? “Conserving Our Rural Heritage” is the theme of this year’s Farm & Range Forum to be held in Uvalde on October 14 and 15. “When we began to plan this year’s Forum,” explained Susan Hughes, one of the Forum organizers, we had no idea we would be facing such difficult times in terms of water shortages, extraordinary heat, and exceptional drought, as the U.S. Drought Monitor report calls it. We feel this Forum will provide great value to attendees in terms of the information that will be presented, and through the interactions available with other landowners, conservationists, and agency professionals who will be sharing their expertise. Read full media release here. The fifth annual photography contest held by the Hill Country Alliance (HCA) received hundreds of beautiful entries that capture the unique places, lasting treasures and special qualities the Texas Hill Country is known for. HCA announces four winning photographs, each capture the magical qualities of this region that need to be protected for future generations to enjoy and experience. Read full media release here. The passage of Texas House Bill 3391, known as the Rainwater Harvesting Bill, represents a giant step forward for conservation of water resources and water security for the state. Rainwater harvesting is one of the best solutions to limited water resources and an increasing demand on water supply in Texas. Read full media release here. On April 1st and 2nd, the 2011 Farm & Range Forum will be held in Uvalde, Texas. The focus of this year’s forum is “Conserving Our Rural Heritage.” Landowners, urban and rural conservationists, and anyone interested in the history and dynamics of the region as it faces economic and social challenges are encouraged to participate. Read full media release here. The Texas Hill Country region is full of magical, irreplaceable places — a photographer’s paradise any time of year. The 5th annual Hill Country Alliance (HCA) photo contest call for entries opens March 1st and runs through May 31st. Everyone is welcome to participate, young and old, amateurs, professionals, landowners, residents and visitors. The Hill Country is a place we all share. Read full media release here. With a rapidly growing population, Texas needs a lot of water and a lot of energy. These resources are usually considered separately. The Texas Water Symposium goes deep into the complex issues of water and energy, and explains the critical interrelated aspects of these two essential resources. Read full media release here. Invasions by plants, animals and parasites are regarded by biologists as a major threat to biological diversity worldwide and can have major impacts on water resources and economics. They threaten the survival of native plants and animals, interfere with ecosystems and hybridize with native species. Find out more at Session Two of the 2010-2011 Texas Water Symposium Series: “The Insidious and Stealthy Water Thieves of Texas: Invasive species impacts on resources, economics and ecosystems.” Read full media release here. The remains of an ancient cypress rise from an autumnal creek’s mist, trail riders gather for cowboy coffee on a fog shrouded morning, and cotton candy rows of a peach orchard in bloom foretell of summer sweetness. In the fourth annual contest held by the Hill Country Alliance (HCA) to photographically convey the beauty and uniqueness of the Texas Hill Country for the 2011 HCA Hill Country Calendar, the three winning photographs do just that. Read full HCA media release here. Texas water policy and the upcoming legislative session will be the focus of the first in a series of four symposia about water issues in Texas. State Representative Harvey Hilderbran will moderate a panel discussion at 7:00 pm on Thursday, September 30th in the Capitol Auditorium located in the Texas Capitol Extension in Austin. Read HCA press release here. Beneath many places in the Texas Hill Country, more groundwater is being pumped out than can be replaced through the water cycle. “What does a Desired Future Condition (DFC) have to do with your water?” On 26 July 2010, you can comment on this question. Read more here. Enjoy an evening of star gazing and a presentation on what you can do to preserve the night skies starting 7:30 pm, Wednesday, June 2, at the LBJ Ranch. The event is hosted by Hill Country Alliance, Hill Country Land Trust and Green Living for the Hill Country. Read full release here. The Hill Country Alliance Photo Contest runs through the end of May. 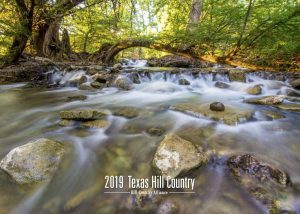 Winners receive not only cash prizes, but will be featured in the popular Hill Country calendar produced each fall by the Hill Country Alliance (HCA). Read full release here. The last of the 2009-10 Texas Water Symposium series will be at 7 p.m., Thursday, March 25, in the ballroom of the Floyd & Kathleen Cailloux Campus Activity Center at Schreiner University. Read full release here. The Hill Country Alliance announces the receipt of a $25,000 grant from the Kirk Mitchell Environmental Law Fund to support the Alliance’s water conservation education advocacy. Read full release here. The Texas Hill Country is a photographer’s paradise. Creeks are once again flowing, and the forecast calls for a green spring with plenty of wildflowers. Now is the time to dust off your camera and head outside to capture the beauty and mystique of this special region. Read full media release here. Water Symposium Essay Contest – Inform your schools! Schreiner University and the Water Symposium project announce a student essay contest for elementary, middle and high school students. “Kids, Water and Science: Perspectives from our Future”. Read full release here. David K. Langford is a steadfast conservationist, well-respected regionally and nationally. In recognition of his lifetime of service conserving our agricultural heritage and protecting native wildlife, wildlife habitat, and natural lands in Texas, Langford will receive the inaugural Keystone Award at a reception held at Becker Vineyards in Stonewall, Texas, from 5:00 to 7:00pm, Friday, February 26th. Read full release here. Join us for the second in the 2009-10 series of discussions and forums about Texas water issues. The symposium’s topic will be “Climate Change and Impacts on Floods, Weather and Drought in Texas: What Controversy?” – Read media release here. The holidays are the perfect time to get outdoors and enjoy the splendor of the Hill Country region. Just northwest of San Antonio in Boerne, the Cibolo Nature Center is 100 acres of trails and wilderness waiting for you and your family to explore. This season as you visit the preserve you’ll be treated to something special. The Hill Country Alliance, a nonprofit organization in Central Texas, is placing winning photographs of its 2009 Hill Country Photography contest on display in the visitor’s center. See full media release here. Central Texas is all about the Hill Country — rolling vistas, dramatic bluffs, seeps and springs, and diverse wildlife. But the character of the Hill Country is changing due to explosive growth. On February 26th and 27th, 2010, the Bexar Audubon Society, Green Spaces Alliance of South Texas, the Hill Country Alliance, the Texas Wildlife Association, and the US Department of Agriculture Natural Resources Conservation Service will focus on this challenge at the 7th Farm & Range Forum, “Sustaining the Hill Country — Now and for Future Generations.” – Details. The first symposium in the annual series of symposia dealing with the issues of water use and conservation in Texas will be Thursday, Nov. 12 at the University of Texas-San Antonio campus. Read full media release here. Photographers from across the Hill Country took the theme of Hill Country Alliance’s Third Annual Photo Contest seriously: Celebrating the Treasure of the Hill Country is now possible with a look through the beautiful photographs in the 2010 Hill Country Alliance calendar. “Our desire is for this contest and the calendar to increase awareness of the need to care for the treasures of the Hill Country with regional planning and conservation,” says Christy Muse, HCA executive director. Read full media release here. The ongoing drought has kept water not only in the local headlines, but regionally throughout the Hill Country from San Antonio to Austin. As the drought persists, water availability, which by definition of State water planners is “the maximum amount of water available during the drought of record, regardless of whether the supply is physically or legally available”, is being reduced. Read full media release here. Water supplies are dangerously low in the Hill Country, but Raymond Slade, hydrologist, says it’s not just because of the drought. Slade has been analyzing droughts, floods, and water quality issues for almost 40 years. He says the drought is severe, but in the last 100 years there have been three or four periods with equal or less precipitation. Slade says stream flows and spring flows are extremely low, but not near record lows. Read full media release here. Once you’ve visited Enchanted Rock, you never forget the scenic beauty and power of this natural wonder. What would a farm of 400-foot-tall wind turbines do to the unique vista adorned by the dome profile of this pink granite marvel? Junction is known as the “Land of the Living Waters” and is named for the rivers coming together there: the North and South Llano Rivers. The Johnson Fork Creek, that feeds into the rivers, provides amazing canoeing and kayaking experiences. Young boys fishing the creek boast about catching 50 pound catfish. How will this wild, beautiful area, change if high voltage transmission lines cross the creek in four places? Read full media release here. Hill Country Alliance board member Colleen Gardner has been appointed director of Blanco-Pedernales Groundwater Conservation District Place 2. Gardner, Bamberger Ranch Preserve executive director, is well-known for conservation education at the ranch. With her business expertise and environmental resource management knowledge, Gardner brings both fiscal savvy and experience in water matters to the GCD appointment. See full release here. Hill Country Alliance board member David Baker has been elected director of Hays-Trinity Groundwater Conservation District Place 4. Baker is well known for his work to protect and preserve Jacob’s Well. Serving as executive director of the Wimberley Valley Watershed Association (WVWA) for over 10 years, he’s raised over five million dollars for watershed protection and led the organization to preserve 55 acres of land surrounding the spring. See full release here. 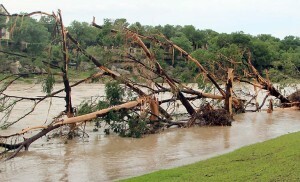 Herb Smith didn’t expect to win when he entered the 2007 Hill Country Alliance (HCA) Photo Contest. “I entered just hoping I’d get an image in the calendar,” Smith recalls. He was “very pleasantly surprised” to win the first year he entered. Smith turned around and won the 2008 contest. “The second year, I was blown away.” Download full release here. The Texas Hill Country Nature Photography Alliance (THCNPA) is a group of ranchers offering up their ranches to guests for nature photography and tourism. Most of the ranches have several established photography sites with food and water to attract wildlife, with one or more professionally established photo blinds carefully situated for optimal photographic opportunities. Many also offer overnight accommodations, allowing guests the chance to enjoy magnificent hill country scenery, and special encounters with critters, in privacy. Hill Country Alliance Co-sponsors “Rethinking Growth” The Economic Benefits of Conservation-Based Development Austin. The Hill Country is facing critical issues that many desirable locations across the country are facing. How do we conserve the natural resources vital to our region and preserve the heritage that make the Hill Country unique while accommodating population growth in an economically viable way? Randall Arendt, a land-use planner, site designer, author, lecturer and an advocate of conservation planning, is the most sought after speaker on these topics. Arendt is presenting a one-day event to offer solutions for the critical issues that come with rapid growth. Read more here. Instead of letting Hamilton Pool become a mud hole, Hill Country Alliance board member Nell Penridge made it her mission to find a way to save Hamilton Pool. With the help of Hill Country Alliance and Hamilton Pool Road Scenic Corridor Coalition, she applied to Preservation Texas for designation. Preservation Texas then included Hamilton Pool Preserve on its 2009 Most Endangered Places List, because of devastation to the pool from major silt and erosion runoff from subdivision development upstream. Read more here. Read the Lake Travis View’s story on Hamilton Pool’s placement on the list here. Austin (February 11, 2009) – Get your cameras ready to capture the treasures of the Hill Country. It is time to enter your best photographs in the Hill Country Alliance’s (HCA) third annual photo contest. “We hold this contest each year to help raise awareness of the beauty, heritage and the natural resources that make the Hill Country unique,” says Christy Muse, HCA executive director. “We want to encourage residents, landowners and elected officials to take care of this very special part of Texas.” The contest officially opens March 1st. The first Texas Water Symposium of the new year will be 7 p.m., Thursday, Jan. 29, at the Admiral Nimitz Ballroom in Fredericksburg. The topic under discussion will be “History of the Rule of Capture and its Role and Status in Shaping Water Policy and Planning in Texas.” Gregory M. Ellis, attorney and executive director of the Texas Alliance of Groundwater Districts, will argue that the Rule of Capture does not grant a vested property right in groundwater and that groundwater conservation districts are the only method of preserving our aquifers; Ed McCarthy, an attorney practicing primarily in water and water-related matters, will argue that groundwater conservation districts may not confiscate private property rights. Read more here or click here to download a copy of the full release. Roughly 40 miles outside of Austin in Southwest Travis County, Westcave Preserve is an oasis in the Texas Hill Country. The 75-acre site lies at the meeting point of two Texas ecosystems: grasslands scattered with wildflower meadows, and a lush, sheltered canyon with towering limestone walls and a 40-foot waterfall tumbling over fern-covered travertine columns into an emerald pool. The Hill Country Alliance will place the 12 winning photographs of its 2008 Hill Country Photography contest on display at the Westcave Preserve. Read more here or click here to download the full press release with pictures. As one of the fastest growing areas in the nation, the Hill Country faces many unique problems. Each year, the Hill Country Alliance holds a contest to find the best pictures taken of the Hill Country. The alliance chose the best 12 pictures from a pool of more than 400 entrants to appear in their annual calendar and represent the alliance’s mission of regional planning, preservation and conservation. This year’s first-place winner, Herb Smith, also took home the top prize in last year’s contest. The second in the annual series of symposia on Texas water issues will be at 7 p.m., Thursday, Nov. 13, in Auditorium Room, number MB 0.104 on the ground floor of the Main Building at The University of Texas-San Antonio. Free parking will be available and refreshments donated by UTSA will follow the meeting. What do we expect the Hill Country to be like in 20 Years? Why are Texas Springs vanishing? Don’t miss the Texas Water Symposia this Thursday evening in Boerne. The first of four Texas Water Symposia will be held Thursday, Sept. 25 at 7 p.m. at the Boerne Convention Center. Texas Tech University, Schreiner University, San Antonio Public Radio and the Hill Country Alliance have teamed up to present this series of free educational public events about water issues, sustainability and the relationship between science and policy when it comes to water resource planning for future generations.